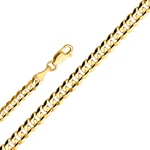 This unique 14k gold 4mm solid rope chain measures 4 mm in width and weighs approximately 24.9 grams. 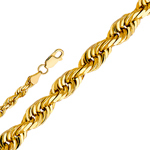 This unique 14k gold 5mm figaro chain measures 5 mm in width and weighs approximately 15.4 grams. 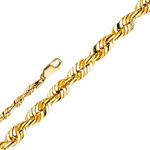 This unique 14k gold 5mm solid rope chain measures 5 mm in width and weighs approximately 27.2 grams. 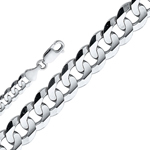 This unique 14k white gold 5mm figaro chain measures 5 mm in width and weighs approximately 15.4 grams. 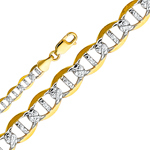 This unique 14k gold 4.5mm solid diamond cut rope chain measures 4.5 mm in width and weighs approximately 17.4 grams. 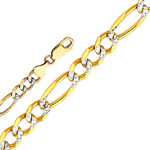 This unique 14k gold 5mm white pave figaro chain measures 5 mm in width and weighs approximately 15.4 grams. 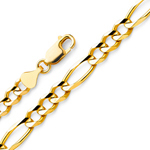 This unique 14k gold 6mm figaro chain measures 6 mm in width and weighs approximately 24.0 grams. 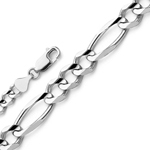 This unique 14k white gold 6mm figaro chain measures 6 mm in width and weighs approximately 22.4 grams. 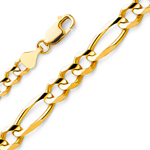 This unique 14k gold 6mm cuban concave chain measures 6 mm in width and weighs approximately 18.5 grams. 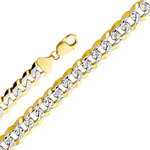 This unique 14k gold 6mm white pave figaro chain measures 6 mm in width and weighs approximately 24.0 grams. 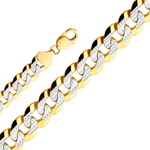 This unique 14k gold 6mm white pave cuban chain measures 6 mm in width and weighs approximately 18.5 grams. 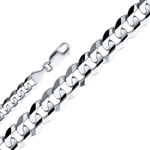 This unique 14k white gold 6mm cuban concave chain measures 6 mm in width and weighs approximately 18.5 grams. 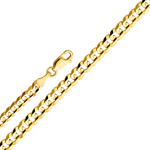 This unique 14k gold 6.5mm flat mariner chain measures 6.5 mm in width and weighs approximately 17.7 grams. 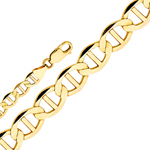 This unique 14k gold 7mm cuban concave chain measures 7 mm in width and weighs approximately 25.9 grams. 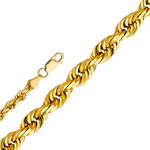 This unique 14k gold 6.5mm white pave flat mariner chain measures 6.5 mm in width and weighs approximately 17.7 grams. 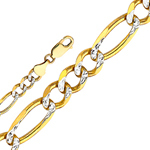 This unique 14k gold 7mm white pave cuban chain measures 7 mm in width and weighs approximately 25.9 grams. 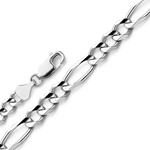 This unique 14k white gold 7mm cuban concave chain measures 7 mm in width and weighs approximately 25.9 grams. 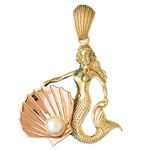 This 14k two tone gold mermaid holding a seashell pendant features a hollow back, it measures about 36 mm in width by 34 mm in height and weighs approximately 17.8 grams; it makes a remarkable addition to any fine necklace. 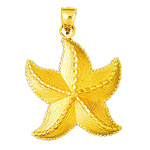 With a unique design a refreshing 14kt gold starfish pendant offers unbeatable style to your collection of sea life jewelry. 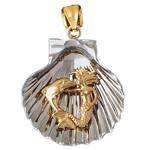 Pendant is measured approximately 1 9/16" wide by 1 5/8 " high and weighs 16.1 gram(s). 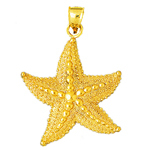 A stylish 14 karat gold starfish pendant that makes a stunning addition to any collection of sea life jewelry. Pendant is measured approximately 1 15/16" wide by 2 3/16" high and weighs 18.0 gram(s). 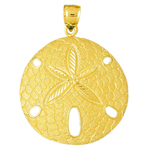 With a unique design a refreshing 14kt gold sand dollar pendant offers unbeatable style to your collection of seashell jewelry. Pendant is measured approximately 1 7/8 " wide by 1 7/8 " high and weighs 16.5 gram(s). 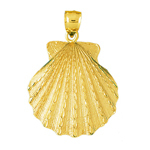 Choose this fascinating 14k gold scallop shell pendant for a distinctive and fashionable addition to your collection of seashell jewelry. Pendant is measured approximately 1 1/2 " wide by 1 5/8 " high and weighs 16.3 gram(s). 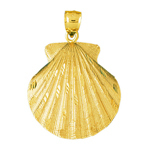 With attention to detailing this 14k gold 40mm scallop shell pendant makes an impressive addition to any seashell jewelry collection. Pendant is measured approximately 1 1/2 " wide by 1 9/16" high and weighs 15.4 gram(s).